Very Good. 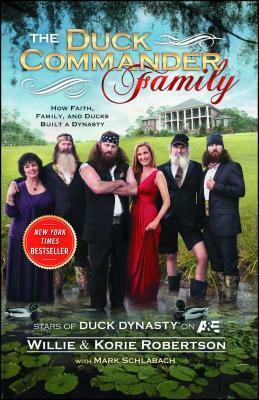 Duck Commander Family: How Faith, Family, and Ducks Built a Dynasty by Robertson, Willie, 2013-02-28. Trade paperback (US). Glued binding. 261 p.
Very Good. The inspirational story of Willie and Korie Robertson, stars of the popular television show Duck Dynasty. Glued binding. Paper over boards. With dust jacket. 261 p. Contains: Unspecified, Illustrations, color.